Visual artist, Knowledge Bennett‘s iconic paintings of Madonna, Beyonce, Miley Cyrus and Rhianna from the continuation of the “The Cojones Series” to be unveiled at the opening on Thursday, March 26th at Guerilla Atilier 427 S. Hewitt, Los Angeles, CA 90013 from 7:00- 10:00. 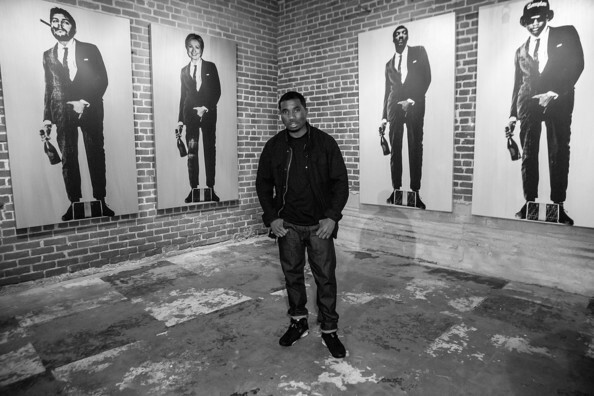 In addition, from Knowledge’s “Cojones”collection, Mr. Bennett will gift the larger than life-size Eazy -E to his daughter at a private gathering at The Atilier Gallery at 6:00PM prior to the opening. Knowledge Bennett is a self-taught American artist born Dec. 5th 1976. He began his love affair with the arts after moving to Los Angeles, California for the first time in 2004. 10 years later, after much success in NYC and the surrounding North East area, he’s chosen once again to relocate to the City of Angels.